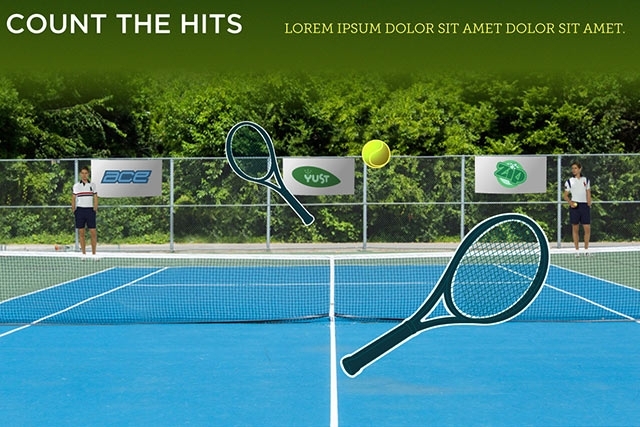 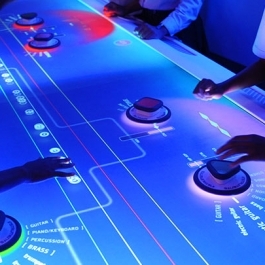 A comprehensive suite of gesture based interactives, augmented reality, interactive kiosks, interactive films and multitouch table games. 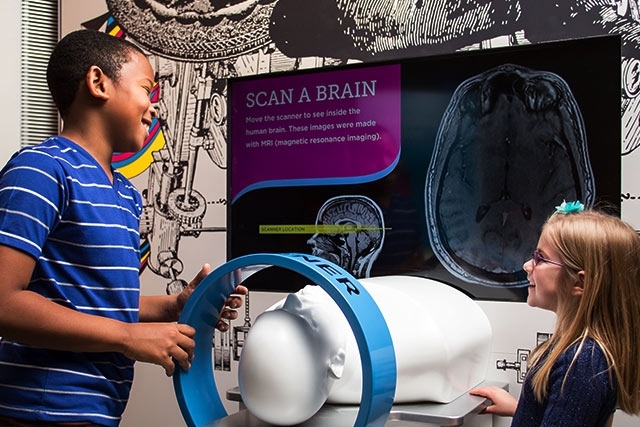 The largest permanent exhibition in the new $41 million, 53,000-square-foot Nicholas and Athena Karabots Pavilion, “Your Brain” at the Franklin Institute, escorts visitors through the recesses and biology of the human mind. 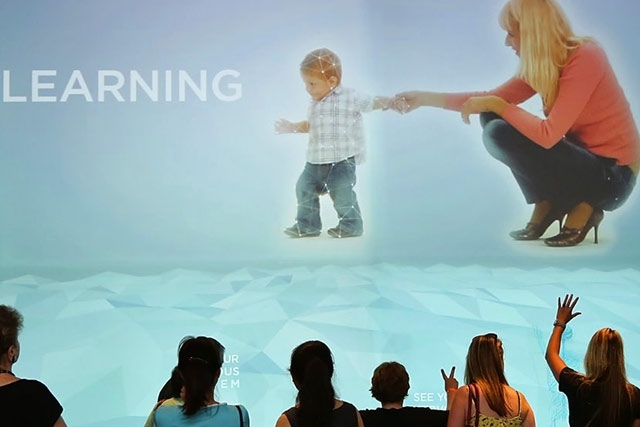 Unified Field created over thirty interactives for the exhibit, which challenge visitors to use their brains to learn about their brain. 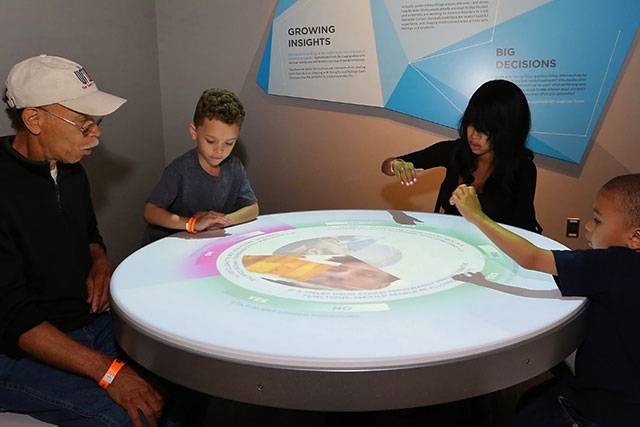 The interactives run the gamut from multi-touch tables to interactive films, gesture based augmented reality and interactive kiosks. 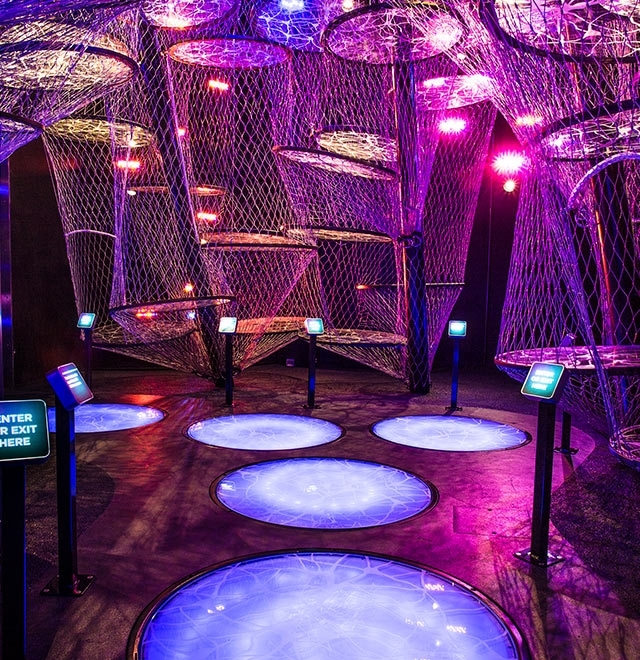 Situated at the entrance of “Your Brain”, the introductory experience provides a fly through tour of the human nervous system. 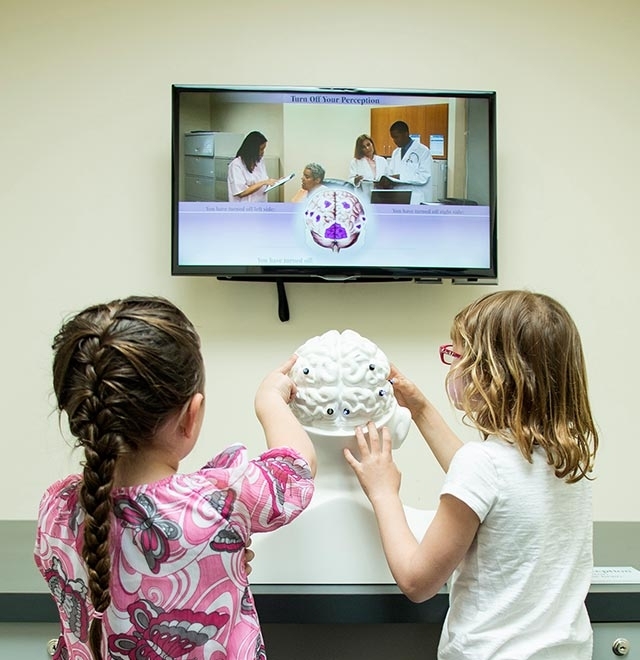 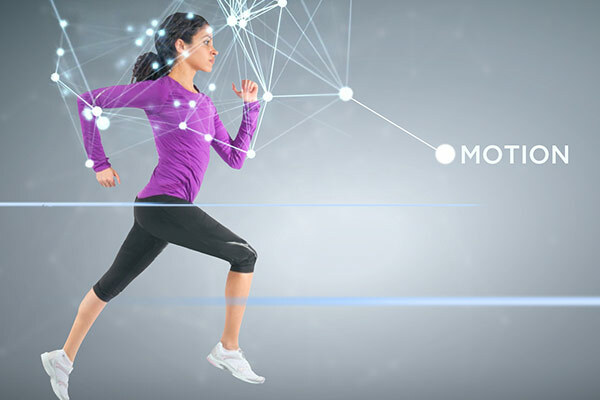 Using gesture sensing hardware, the visitor’s brain and nervous system functions as a springboard for launching a compelling 3D introductory video. 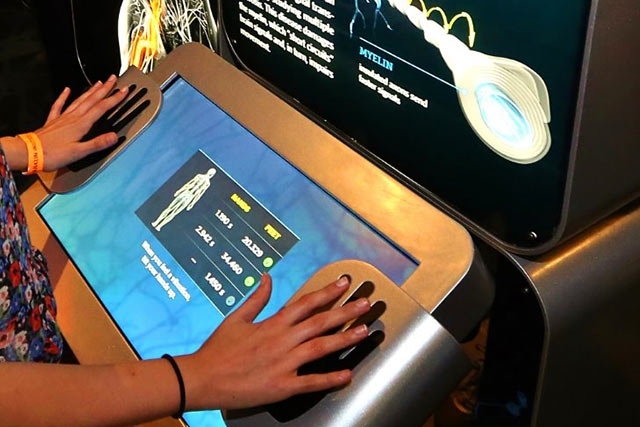 The Build a Network Touch table invites a group of visitors to create a digital chain of neurons. 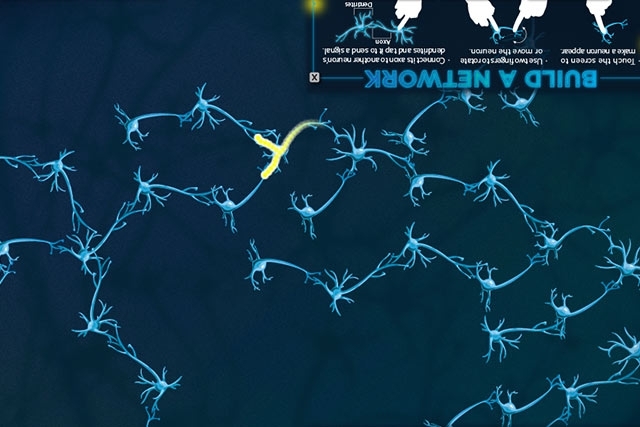 Guests create, move and rotate neurons in a communal multitouch environment. 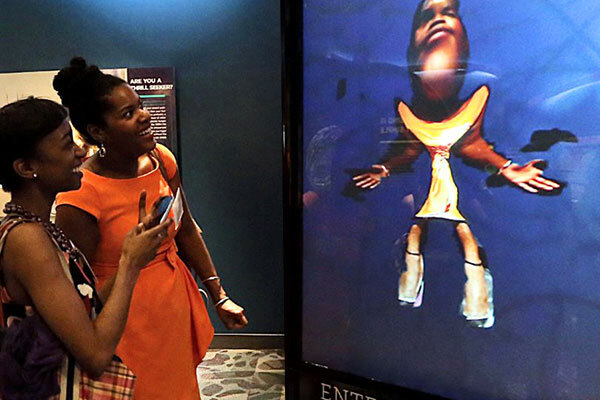 In Make Your Homunculus, visitors are photographed and their image is humorously depicted on a multimedia kiosk to explain how the human brain controls the body. 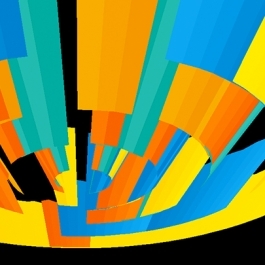 A data visualization pie chart illustrates what percentage of the guest’s motor cortex is dedicated to controlling different parts of the body. 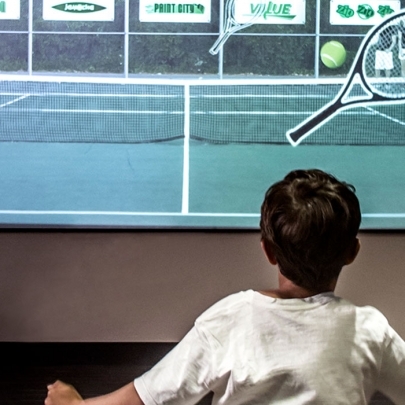 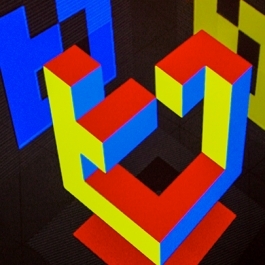 Numerous interactive games, created by Unified Field Interactive Studio, round out the Your Brain exhibit. 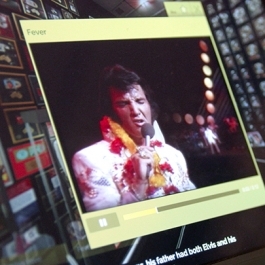 Guest can test their memories, face their fears, track their eye movements and learn about how to detect lies.